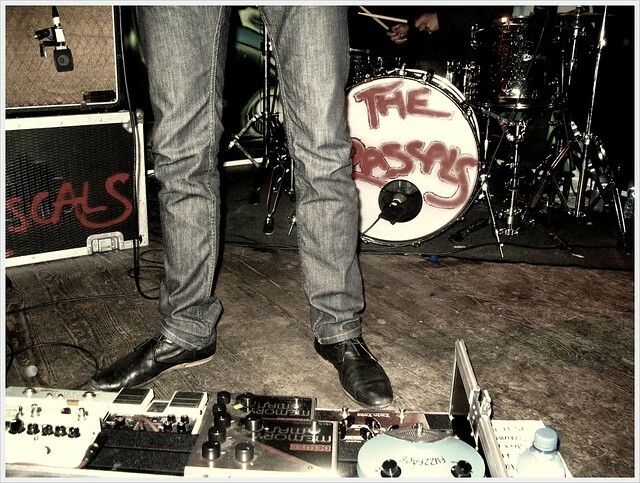 Miles Kane used a Fuzz Face (typical sound for The Age of The Understatement). He later switched to Zvex Fuzz Factory. Arbiter first issued the Fuzz Face in 1966, later units bear the Dallas-Arbiter name. The original Fuzz Face was discontinued in 1974, in 1993 Jim Dunlop took over production and still makes the pedal. Germanium and silicon transistor versions are available. 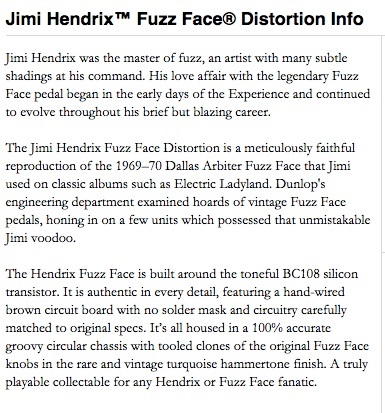 Dunlop mentions Jimi's use of this distortion pedal which inspired the creation of [this replica](http://www.jimdunlop.com/product/jhf1-jimi-hendrix-fuzz-face). Dunlop writes "Jimi Hendrix was the master of fuzz, an artist with many subtle shadings at his command. His love affair with the legendary Fuzz Face pedal began in the early days of the Experience and continued to evolve throughout his brief but blazing career." 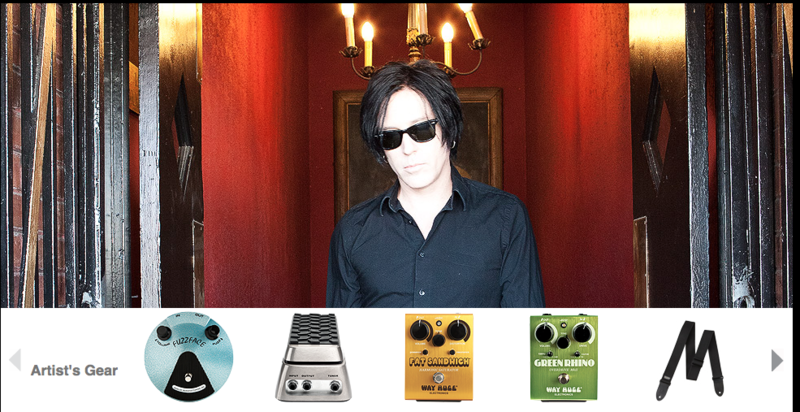 Van Leeuwen's gear includes a Jimi Hendrix Fuzz Face Distortion pedal, according to [Dunlop's website](http://www.jimdunlop.com/artist/troy-van-leeuwen). Malmsteen's onstage setup also includes a Dunlop Jimi Hendrix Fuzz Face, seen in this Premier Guitar video at (6:10), but he doesn't use it. "I just like the way it looks," he said. "It looks like a landmine." At 12:16 he says he has a Jimi Hendrix Fuzz Face Effects pedal at home, along with numerous equipment. keenemachineHow much fuzz is TOO much fuzz though? The Jimi Hendrix Fuzz Face Distortion Pedal is in his pedal board, as seen in this Instagram post, directly under the Small Stone pedal. This pedal is the real deal! You'll have to reconfigure your rig and even adapt your playing style to make this pedal work for you in most cases. But once you crack the code, you'll know what being "experienced" feel like! Its gives you what you put into it. Literally. me gusta el pedal porque es bien versatil y engrosa el sonido de mi guitarra!